The purpose of the Student Handbook is to acquaint you with the organization and activities, policies and obligations, academic offerings and requirements, as well as the standing rules and regulations of Macon East Academy. Each part was carefully considered and evaluated prior to adoption. It is the responsibility of each parent and student to become familiar with the information in this handbook, and it is imperative that each person associated with Macon East Academy fully understands and abides by these standards. Because a school must remain flexible to the ever-changing needs of its students, the handbook may from time to time require revision. Students are advised that such revisions should be noted when announced and that each individual student has the responsibility to keep his/her student handbook current. This Student and Parent Handbook is neither a contract nor an offer for a contract. 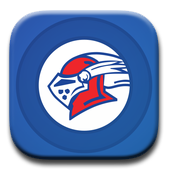 Macon East Academy reserves the right to make changes in objectives, policies, fees, regulations, and offerings as circumstances may require at any time.